Experience: Working internationally on projects with over 8.5 years in AX (versions 2.0 to 2012 R3). Projects sought: Permanent position, full-time. Markets: Canada, would be happy to be sponsored to work in the EU. 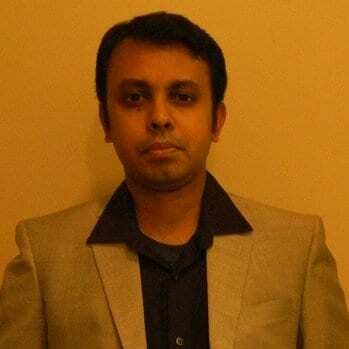 Take a look at Abhishek’s profile and CV on 365 Freelance. Sandra from 365 Freelance: Abhishek, thanks for taking the time to talk to us. What is your ideal role? Abhishek: Currently, from IBM’s official point of view, I’m an AX administration lead – but my tasks and responsibilities go beyond that. For instance, at the moment, I’m working on a project for a construction company in which I’m managing field development as well as doing code review. In addition to this, I’m working with Microsoft to analyse the code and the performance of Dynamics AX. I’m one of the founding members of the Dynamics AX practice in IBM. Next March, I’ll be finishing my 5th year with them. In those 5 years, I’ve been involved in many areas including AX administration and AX development. I’ve been a development lead as well as an infrastructure lead. I have successfully handled client-facing roles at various stages of the project life cycle: pre-sales demonstrations, requirements gathering and analysis, development and customisation of the solution, as well as user-training. I have played a leading role in various projects – some of them international (in countries such as Hungary, USA, Netherlands and Denmark). This has allowed me to develop my leadership skills. It’s also enabled me to prove that I can work with a wide range of clients from various countries and lead their Dynamics AX roll-outs and projects. In addition to this, I’m an MCP and I have 6 certifications in Dynamics AX (with an average score of 99%). What I’m looking for now is a position which would allow me to capitalise on those skills and to take my career to the next level. My ideal role is a managerial position as a development lead for either a partner or an end-user. Sandra: IBM is a massive organisation. Was your experience working for them very different in India and then in Canada? Was it hard for you to relocate? Abhishek: The two countries are definitely different, but the organisation is the same. The procedures and policies vary, of course – but that’s all I’ve noticed in terms of differences. The Dynamics markets in these two countries are really not the same, though: in India, it’s much easier for Dynamics employers to find resources because there are many of them. In Canada, the AX market is still growing whereas India started working with AX a long time ago. The relocation wasn’t hard. The way I see it, if I want to grow and to advance my career, relocation is sometimes a necessity. If the company I work for asks me to move, then I’ll do it – I’m always getting support from my family in this respect so it’s never really an issue. Professionally, it wasn’t too hard to adjust either: proof of this, I think, is that last year, I was awarded two IBM Manager’s choice awards. Sandra: You mention experience with developing Payroll, which is not the easiest module in AX. Could you give us more information about what it involves? What attracted you to such a challenging area? Abhishek: I started my career working with earlier versions of AX. In AX 3.0, there is no payroll module at all. My employer at the time needed that module developed for a client – but it also had to be done in a way that would allow the module to be then sold to other clients. With two of my colleagues, I worked on the Indian payroll and taxation requirements in order to create that module. What made me specialise in Payroll is simply that the opportunity presented itself. My career was just starting and I was ready to take on any new challenges that would come my way. In 2009, I received 3 consecutive awards for payroll implementations. In AX 2012, Payroll and HR are already embedded so the process is very different. Abhishek: I think your concept is very interesting. I like that your website doesn’t just help consultants find a job, it helps them find the right job. I also like that you are making efforts to promote the consultants’ profiles to potential employers. Sandra: Thank you, Abhishek! It is great pleasure to hear about your experience!